The ethic of charity, taking care of the less fortunate, the poor, or the weaker sections of society, long predates the teachings of Jesus. What Jesus is doing here is not admonishing us to take care of the poor but rather announcing that the situations of the poor, the mourning, and the hungry are about to be reversed! I’ll explain. If we live in a society of limited resources, then for someone to hold on to more than what they need (i.e. wealth) means that someone else is going without what they need. Countless philosophers and sages throughout the centuries have taught this to one degree or another. Gandhi spoke of the earth providing each day enough for every person’s need but not every person’s greed. Karl Marx described our societies as pyramids with the wealthy elite at the top and the masses of working class and the poor at the bottom. First Century Jerusalem had a similar social structure. The Greek and Roman empires had monetized the region. Historians estimate that over two million Jewish people lived outside of Jerusalem. Each male older than twenty years of age was required to pay an annual half-shekel temple tax, and so the temple amassed an enormous amount of wealth. Josephus recorded Rome forcibly taking money from the temple during its occupation of the region (Sabinus: The Jewish War 2.14; Jewish Antiquities 17.50; Pilate: The Jewish War 2.175-177; Jewish Antiquities 18.60-62; Florus: The Jewish War 2.293). When Judea was placed under a Roman Prefect, the Temple became the primary Jewish political institution. During this time, the Temple took on more of the role of a national treasury and “bank” for the wealthy aristocracy of Jerusalem. “It is quite possible that, under pressure of this increasingly wealthy elite, the temple began to make loans on their behalf or to hold their capital so they could proffer from such loans to the poor.” – William R. Herzog, Jesus, Justice, and the Reign of God: A Ministry of Liberation. The wealthy looking for ways to profit from investing their surplus in loans or acquiring land upon debtors’ default created an unbearable debt load for both peasants and craftsmen. The farmers needed these loans to survive, the wealthy sought greater profits, and the temple, with its politically and economically privileged priesthood and Jewish aristocracy living in luxury, was at the very heart of a system of economic exploitation. As Josephus records, the burning of all records of debts held in the temple was the first act of the Jewish Revolt that led to the Jewish Roman war (The Jewish War 2.426-427). The temple had become more than a site for religious worship. It had become the heart of economic oppression. This system created wealth through making others impoverished. And so in our first passage this week from Sayings Gospel Q, Jesus does not prescribe charity for the poor as a way to maintain an unfortunate but unavoidable state of affairs in a system that should be left unchanged. Jesus is calling for justice toward the poor and change to the system itself for all who choose to participate. Jesus announces a path toward a great reversal, where the poor are now benefited, the hungry finally and permanently have enough food, and those for whom the present system caused mourning, they will rejoice. The justice of Jesus involves a change for everyone. As James M. Robinson states in his book The Gospel of Jesus, “It is no coincidence that the oldest collection of Jesus’ sayings, what we call the Sermon (what Matthew expanded into the Sermon on the Mount), begins by pronouncing just such down-and-outers fortunate: it is the poor, the hungry, the mourners who are ‘blessed.’ The kingdom of God is not God’s stamp of approval on the status quo, the powers that be, the ruling class. Rather, it is countercultural, for it gives hope to the hopeless. It is not consoling them with ‘pie in the sky by-and-by,’ but involves concrete intervention in the lives of the needy, mitigating their plight in the here and now” (p. 170). In Luke’s gospel we come in contact with wealthy Pharisees who reject Jesus’ new plan and wealthy tax collectors who embrace it. Luke’s gospel uniquely includes the parable of the rich man and Lazarus, originally a story that the Pharisees told about a rich tax collector and a poor scholar of the Torah (see J. Jeremias, Parables, p. 183). 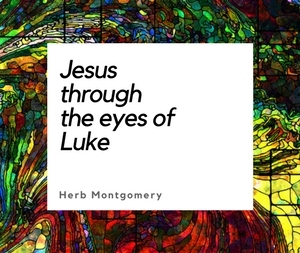 Luke’s Jesus expands the story from being about a tax collector and a Torah scholar to being about all who are wealthy (including wealthy Pharisees) and all who are poor (Luke 16:19-31). We encounter in characters like Zacchaeus tax collectors who respond positively to Jesus’ new economics and choose to give their wealth back to the poor (Luke 19:1-10). And we encounter Pharisees who “loved money, heard all this and were sneering at Jesus” (Luke 16:14). This rejection was much more than simple disagreement about Jesus’s theology. The religious authorities rejected Jesus’ new economics. Again from James M. Robinson’s The Gospel of Jesus, “Jesus must have believed that, in spite of appearances, the givens of life were basically changed: as the ideal becomes real and God rules, there are to be no poor or hungry, no handicapped or sick, no exploiter or enemy, no mentally disturbed or force of evil. Jesus believed that this ideal was the basic reality and acted accordingly.” (Ibid. Kindle Locations 2495-2504). As we close this week, I want to address a common misunderstanding of a statement Jesus makes in Mark and Matthew. 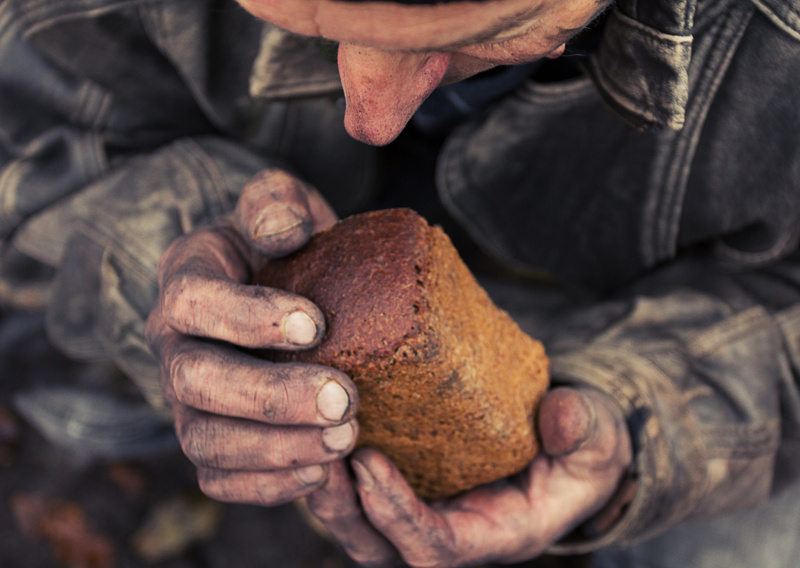 Some have taken these words to indicate that Jesus is proclaiming that poverty is an unavoidable reality that will always exist no matter what we do. Yet when we understand this statement from a Jewish perspective, we see this is not the case at all. Jesus is reversing this statement from Deuteronomy when he states, “You will always have the poor among you.” Poverty is a human creation, and thus, humans could reverse it if they chose to. Jesus is showing a way for his generation to do so through voluntary wealth redistribution rooted in love for our fellow human beings. Yet the wealthy elite of his day, including Judas, rejected his teachings in favor of greed. And as long as they held on to their present system, rather than eliminating poverty they would immortalize it. The choice was theirs. What were Jesus’s economic teachings? We’ll learn more as we continue our study of Sayings Gospel Q, but for now, it’s important to remember that Jesus’s teachings were rooted in what he called the reign of God (the kingdom). For the Jesus of Sayings Gospel Q, a world where God “reigns” is a world where I trust God to take care of me by sending people who will care for me while I take care of you and listen to God when God calls me to take care of you! In the 1st Century, Jesus proclaimed good news to the poor, the hungry, and those who mourn. In our society, whom do you think Jesus would proclaim good news to today? Most definitely it would still be the poor, hungry, and mourning. But whom else would it include? Which other members of your human family would Jesus call you to trust God to send people to take care of you while calling you to take time today to take care of them? Discuss this question with your HeartGroup and see which people or communities you come up with. Dedicate time during your HeartGroup each week to share experiences you have when you reach out to take care of someone in need. At the end of this special sharing time each week, share who you might have come in contact with the previous week that may need your group’s help. Combine your group’s resources to see how you can care for them in the upcoming week. For Jesus, the reign of God looked like people taking care of people while trusting God that if we would chose a world of “care,” this would actually bring about a new human reality for us all. It’s a world that we like to describe as a world where only love reigns. Thanks for taking the time to journey with me in this series.